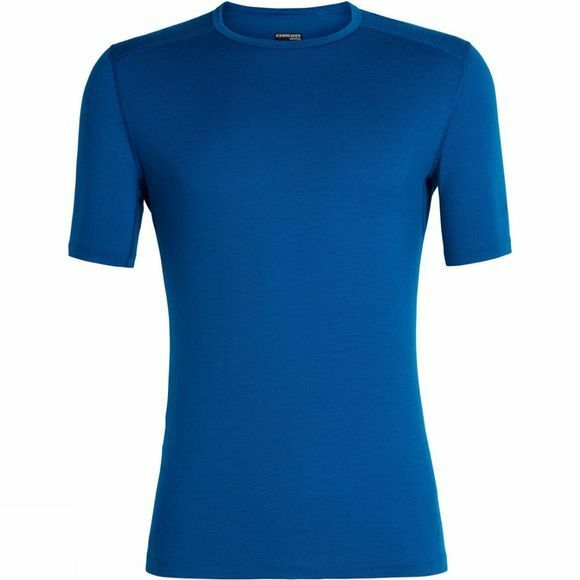 The Mens 200 Oasis SS Crewe Top from Icebreaker is a reliable classic for year-round versatility and breathable comfort. Our updated crewe is a lightweight baselayer top primed and ready for everything from far-flung travel adventures to weekends skiing at the resort. Featuring our best-selling 100% merino wool jersey fabric, the Oasis Short Sleeve Crewe provides easy layering, high breathability and natural odor resistance. Underarm gussets improve range of motion while hiking, climbing or skiing, and offset shoulder seams and flatlock stitching eliminate chafing when you’re wearing a pack or moving fast.